Mini Vendor Goodie Bag Event! ORANGE CITY, FL 12- 4 P.M. 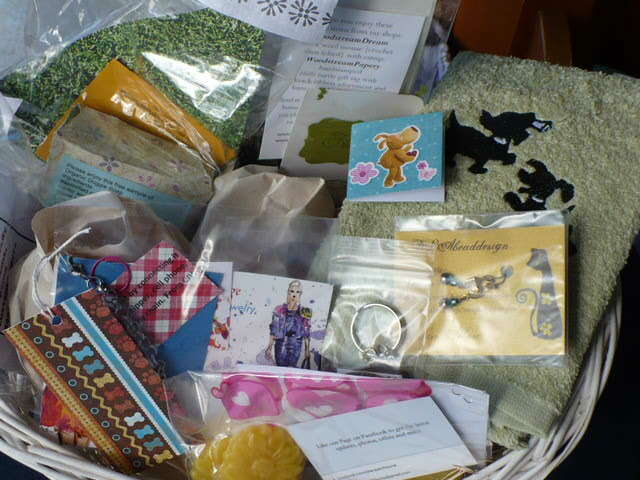 WIN FREE GIFTS FROM ALL OUR VENDORS! DINE IN OR CARRY OUT FROM OUR SPONSOR: DR. MUNCHIES! BUY A SANDWICH AND GET A FREE DRINK! MEDIA COVERAGE! FIRST 50 SHOPPERS GET A FREE SWAG BAG/GOODIE BAG FILLED WITH WONDERFUL SAMPLES FROM OUR VENDORS! You will need to send your 25 or 50 samples for this event prior to the event date. This event is unique in that you do not have to attend to participate. You can sign-up with the application once you sign-up you must pay to hold your spot. I will be promoting in the news papers to draw in more customer's to the location. I will hand out all 25/50 swag bags at the event. Be sure to include all of your information with each item in a clear plastic bag so they may shop with you and call you to place an order. **All payments are due July 31st to hold your spot! Leave a comment below to hold your spot!!! See the Advertise with Us page to pay your vendor fee for this event. Sign up in the comments section and pay your vendor fee to be added to the list of vendors for this event. All vendors may send 25 or 50 samples and sign-up for the $15 vendor fee. I will also accept direct sales vendors for the for the swag bags/goodie bags! Avon, Tealightful vendors spots taken. 7 spots left! 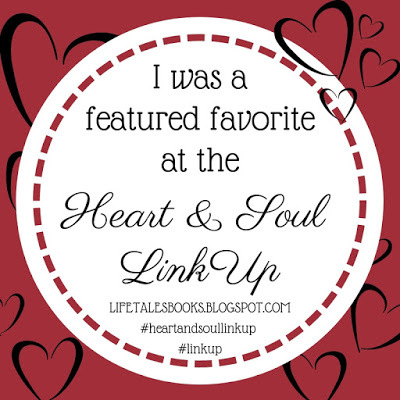 I thought we'd make this week's blog post a little more exciting and get you all to participate in a fun contest I came up with to go along with my DIY project for the week. A Buy One Get One Free Offer! I'm going to show you how to make your own altered book that you can use as a scrapbooking, as an art journal or even a save the date book for important events of family and friends. Here is how to play the game and enter the contest. 1. You'll need an old book any size will do, just keep in mind what you want it to be used for and then you'll know what size to get. 3. A camera and your imagination. 4. All entries must be submitted by June 30, 2014 to qualify for the contest. 5. Prizes: Each participant and winner will receive a free $5 or more gift with purchase! posted and a coupon for a future product discount. Start by removing every 3rd page from the book right at the binding using a sharp cutting tool. If you are good at tearing, then score the page by the binding and then tear it off as straight as possible. This will allow room for embellishing each page and gives room for the book to expand and still close. 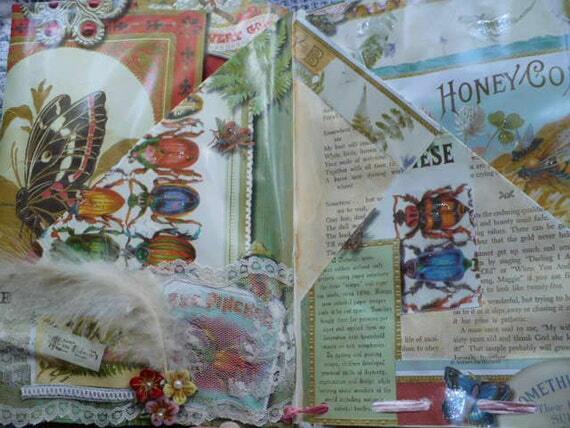 Now, just start adding embellishments to one side of the page and on the other fold the corner down to make a pocket as shown in these pictures of a book I altered. This book was sold to a lovely lady in Japan! 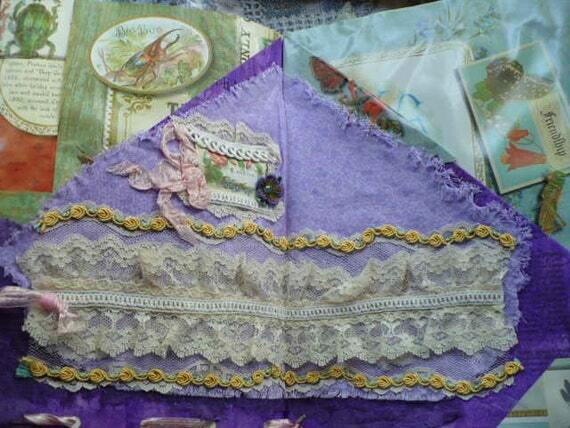 You can even add fabric like I did on these pages and then layered with ribbon and trim. I used calendar pages that were glossy to cover some of the pages as you see in this picture. I used a thick tacky glue such as Aleen's to make sure they stay in place. I also use a paint brush to smooth out the glue. You can also use Mod Podge by Plaid and a sponge brush if you don't like the tacky glue. Another, technique that I use to make pockets is to punch holes in the bottom of each page and then thread a ribbon as you see here in this picture. 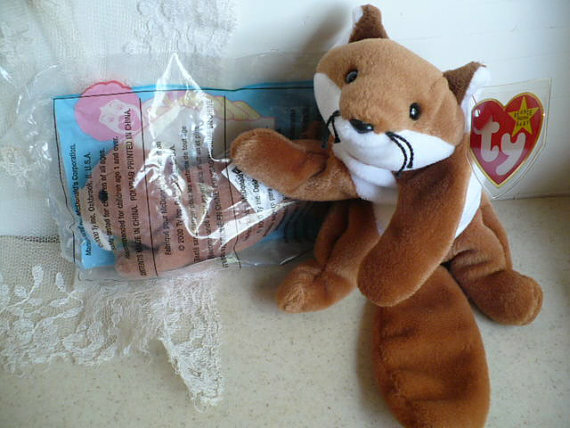 The pink ribbon was then tide and had a charm attached with about 2 inches hanging out. 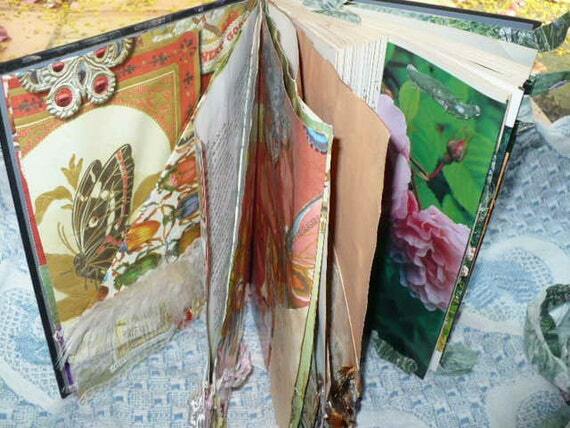 So, what will you use your altered book as? Maybe, an altered book journal? 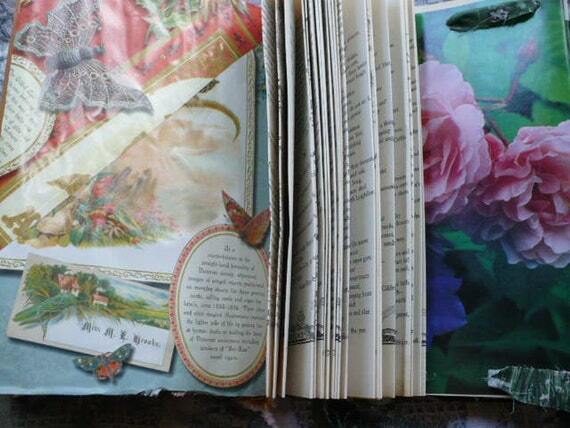 Or, how about an altered book scrapbook? Oh, I know, an altered book save the date book! I've been working on a few for children and will be putting the finishing touches on them and adding them to my Etsy shop this month. Visit my shop on our Vendor Classified page along with all of our other great artist's shops. is bound, not a spiral journal for under $2. turn a plain journal cover into my own cute and creative journal cover! to seal the paper and prevent any damage as I use the journal. or horizontally. Just use your imagination and have fun! Start off by taping off the area for the chalkboard paint. Next, apply according to directions and let dry 8 hours. to form a border around the chalkboard paint. Glue in place and let dry for 1 hour. Apply paper to the back cover and allow to dry another hour. overnight before you begin using the journal. then erase and then in a horizontal direction and erase. 30 minutes to make (for each step) and costs only pennies! Now, that is my kind of DIY project! supplies and make your own DIY journal cover! miss these fun and easy DIY projects. for children ages 13 and up, I'd be happy to accept. your ideas with me in the comments section. 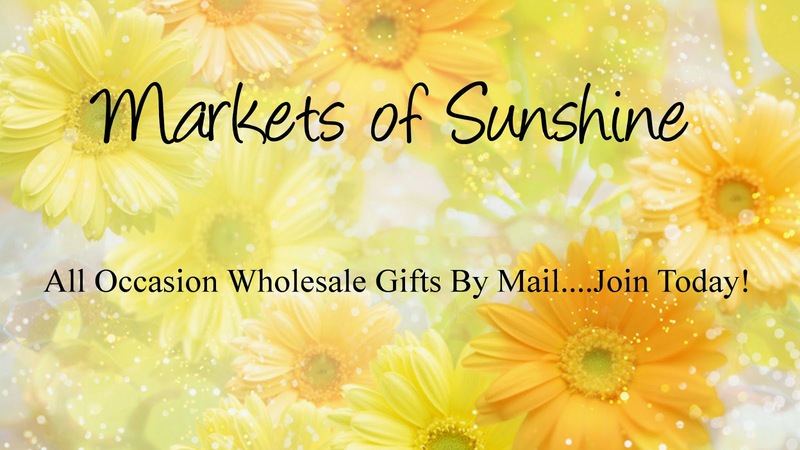 Graduation Gifts are here at Markets of Sunshine! Orders will be shipped within 5 business days of receipt of your payment and coupon. We will email you a shipping tracking number. Copy the coupon and print it out to mail. Try a sample of our handmade Graduation Products for just $5 each!